in any human body, in any color, in any creed. The source we call God, Divine, Supreme, Creator... anything. Why then does the definition of that Supreme have to be different? Why then call "it" with different names? Why chain "it" with boundaries? Why bond "it" with rules and implications? Why express "it" under thousand books? Why search "it" in so many forms? 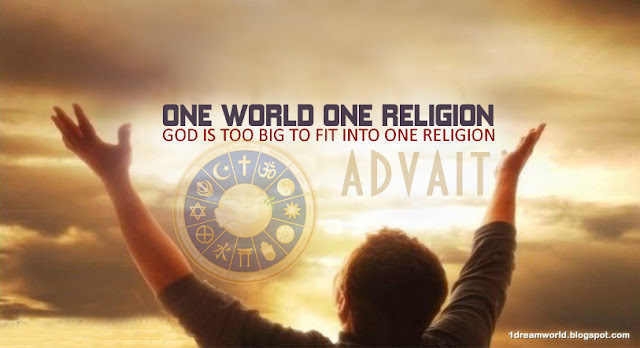 How can one religion be greater than the other? How can one practice be better than the other? But the destination will always be only one. Period. So if the destination is one why should the journey be stuck in diversification? Isn't everything merely a change of form? That changing quality is God, labelled as God.. When you experience love, you ARE God.